The 2015 National Conference in Chicago, 6/24-27, was my first time attending one of the Society’s events. Part 1 and Part 2. Yes, I’m posting notes late but hopefully they are still useful. In 2001 Prudential switched from a mutual to a public company, so they have an unusually high number of registered shareholders. Proactive shareholder engagement. Plant a tree… get a bio-friendly tote bag. Actively ask on proxy for comments. ‘Starbucks’ incentive – Offered registered shareholders to move to broker (reduce their expense). In 2014 Intel did a preliminary mailing targeted to 6,000 accounts with about 10% of shares. Significant increase in participation… about 10%. Still, lots of retail remained unvoted. In 2015 target mailing at 1M+ accounts that were not voted. Filed 8-k and mailed letter letting them know about changes in pay. Targeted those with 100,000 or more shares. 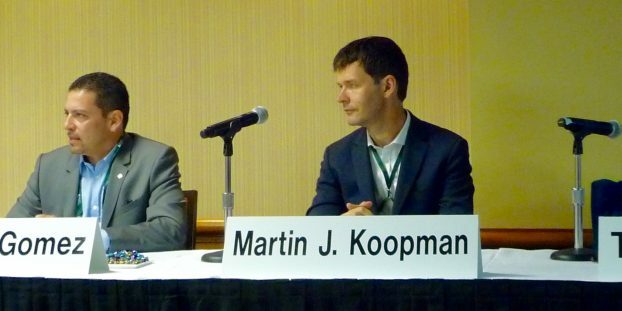 Martin J. Koopman (Broadridge) Retail owns about 30% of shares. Proxy Pulse found only about 29% voted. Retail are generally longer horizon investors. Generally supportive of management. When not supportive often vote with feet. 87% support on say on pay proposals. At DuPont contest 1/2 retail voted. Lawrence D. Dennedy – mail complete sets if you really need their vote, 41% response rate, versus 19% for notice and access. Get unvoted NOBO list. Televote for proposals. Using online data analytics to determine who to target. Shareholder data services are helpful to understand voting behavior across prior years. Pre proxy communications are key. Do before needed. Packaging with corp. brand, full notice to larger shareholders, reminder mailing. Driving employee vote. Sort by descending share-value. Use letter from their group leader (rather than CEO). Be aware, employees will vote against management. If you have proportional voting for undirected portion you could focus on executives in plan to help on pro rata. Employee vote % is often about 10 of shares. More at #Society2015 and #Society15.